When the tidal flow at Nos. 1 and 2 fairway buoys is running in a westerly direction, (expected from HW -2hrs to HW +5hrs) a tidal shadow with significantly reduced flow will be experienced immediately west and south of the breakwater in the Inner Fairway. All craft should be aware that as you pass from the westerly going flow into the tidal shadow a turning moment may be induced. 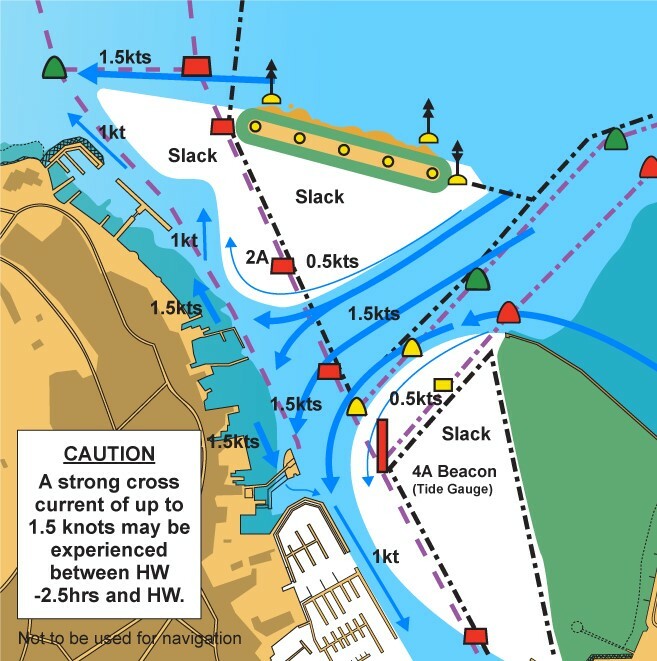 Between approximately HW -2.5hrs and HW, in addition to the tidal shadow west and south of the breakwater, vessels transiting the Inner Fairway between the Island Sailing Club and the Small Craft Channel will experience a westerly setting tidal flow of up to 1.5knots which will have a tendency to set vessels down towards the western shore. This cross current splits into two separate flows on the western side of the fairway in between the Island Sailing Club and the Red Jet terminal with a current of up to 1.5knots running along the foreshore in either direction. Please see figure 1 below. 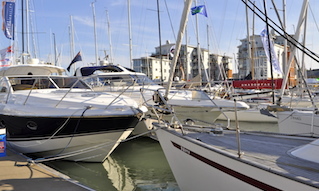 Large vessels entering or leaving the harbour during this period must be aware that due to the westerly going tide at Nos. 1 and 2 buoys, the significant reduction in tidal flow in the shadow of the breakwater and a possible westerly going tide in the Inner Fairway between the Island Sailing Club and the Small Craft Channel, that when the vessel crosses the boundaries of these areas the differing tidal flows may induce a turning moment. 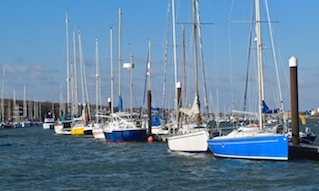 Small craft should be prepared to alter their heading so as not to be set across the fairway when transiting this area and be aware that large commercial vessels may transit this area on the eastern side of the channel (close to the red buoys) to reduce the risk of being set onto the western shore. 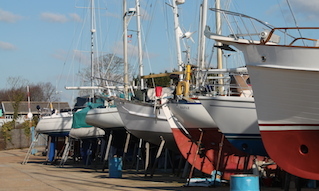 In any case, all small craft shall avoid impeding the safe passage of commercial shipping and ferries. All vessels will have a tendency to be set down towards the western shore when within the westerly tidal streams. 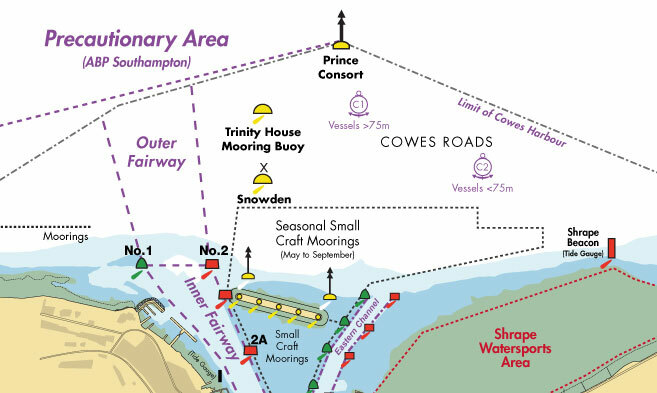 All mariners are instructed to navigate with particular caution in the vicinity of the harbour entrance and Inner Fairway.